This comfortable Naples vacation home is located just a few minutes to the Vanderbilt Beach on Florida's Gulf Coast. This vacation rental by owner sleeps four people comfortably, with one bedroom, one bath plus an open den area with a trundle bed which can be two twins or pulls out to a queen bed - this home is perfect for two couples or a couple with kids. The property is clean and bright, featuring tile flooring throughout and a fully equipped and updated kitchen providing everything you need to make fantastic meals. Perfect for entertaining in to the open floor plan home with almost 1000 square feet. The beach vacation rental has been recently remodeled with new cabinets, fridge, spot lighting, brand new linens, towels, pillows..etc. It features classy coastal decor and fresh designer paint on the walls. The yard area is well-manicured and partially fence on one side for increased privacy. Outside the back door is the private laundry for your personal use. This comfortable cottage has everything you need for the ideal beach vacation experience, right down to Tommy Bahama beach chairs and a 50 can fold-able cooler to keep those drinks and sandwiches cold while you relax in the sunny Florida weather. A free Park Pass to Delnor Wiggins Beach (with free parking) is included - the owners reside nearby and are always a phone call/email away if you need anything. 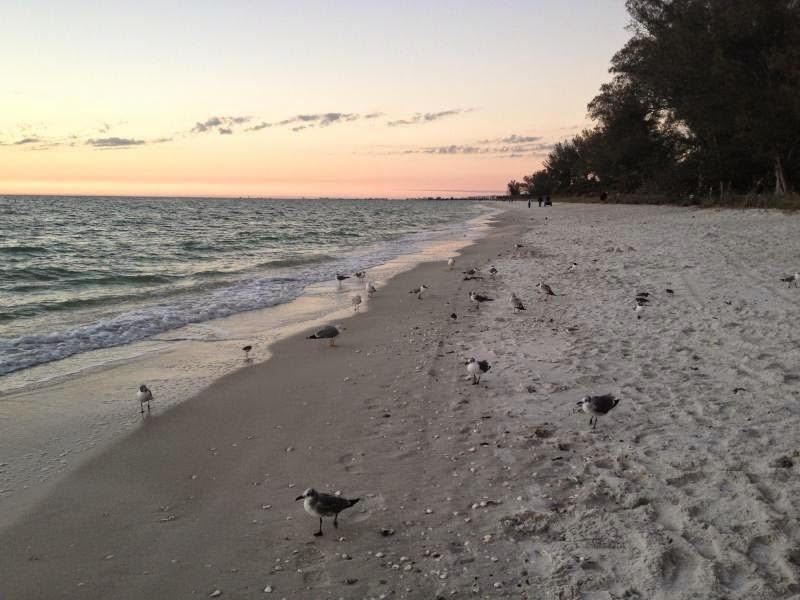 Plan your escape to sunshine and Naples Florida!